On Monday, we opened up Volume 26 of the DL Q&A Sessions. Asking you to send in your questions, we got plenty of awesome inquiries concerning upcoming flagships, as well as plenty of more personal questions. It was a great mix of work and pleasure, and for that, we thank you. Our main takeaway is that you all seem quite concerned with what the future flagships will bring in 2015. Now that specs seem to be plateauing in a sense, what will OEMs need to do to help differentiate themselves from the pack? Read on to view the answers. For a flagship to win you over this year, what does that particular OEM need to do better over the previous model? K: Take steps forward in problem areas, while not creating new ones. For example, I love the new Moto X because it got a better display, better camera, better material choices, and a premium build compared to the year before. But then you have the One (M8) that didn’t improve its camera over the M7, it just added another gimmick. 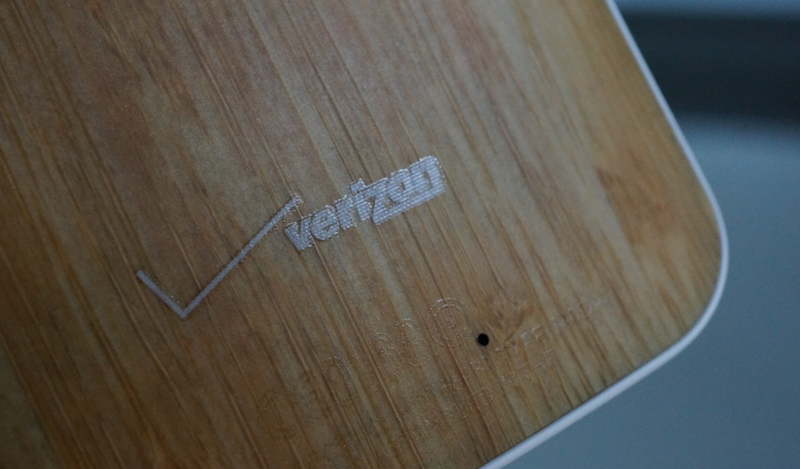 The Galaxy S5 was a worse version of the Galaxy S4 in terms of size and materials. T: Samsung needs to give me a better design, HTC needs to drop the gimmicks, LG needs to revamp their skin desperately, Motorola needs to up their camera game terribly, and Google needs to give me a smaller phone. R: HTC, you have good optics, but you need a camera that takes higher resolution pictures. Samsung – make the Galaxy S6 with premium materials and I might be interested. I like the Galaxy Note, but I’m not sure I want something quite that big; on the Note 5, make the S Pen a lot better or drop it. Motorola – go back to the old dimple. Other than that you’re aces. LG – I really don’t like your phone design or your skin. Give me something that looks less like a shiny new camera from 2003. Are your expectations high for HTC’s new flagship? K: Mine actually are because they appear to have ditched that stupid UltraPixel camera on the back. Even though the phone will be too tall thanks to that black “HTC” bar, a real camera coupled with HTC’s camera skills, could be awesome. And come on, how can you hate that build quality? T: Considering all of the hype, yes, I have very high expectations. Will I be let down by something or other? Most likely. From the leaked specs we have seen initially, I can admire HTC’s possible move away from dual cameras and sticking to 1080p, but I want them to blow me away. My fingers are crossed for an absolute monster of a device. R: Honestly, yes. I think HTC has a really nice phone coming up if the rumors are to be believed. A better camera with the same premium design. My only real other qualm is what Kellen mentioned – the slip factor. Maybe a better rendition of the Dot Case will make that less of an issue. 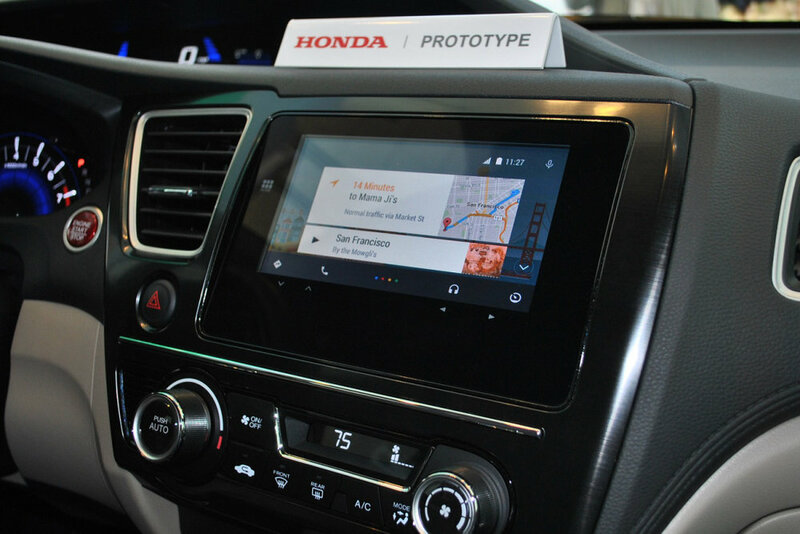 Do you see Android Auto taking off this year and becoming a go to solution for in-car integration? K: The car industry has been trying to innovate with tech for years and has always failed, so yes, I’m excited to see Android come to the car because it should be much better than what we have now. With that said, I don’t know when any of us will ever use it. The car industry is about as slow to adopt new things as the airline industry. I hope we get it this year, but I’m trying not to get hopes up. T: I just bought a new car and it doesn’t have Android Auto inside. Clearly, Google is screwing up. Jokes aside, I could see Google’s infotainment system being a real contender down the road, but it’s still too early for me to get excited about it. R: Sure? Maybe? It really doesn’t matter because most people aren’t going to buy a new car this year, and when they do I don’t know that people really want or need Android in their car yet. The most exciting stuff I’ve seen is self driving cars; I love that idea. Having Android in my car? Cool, I guess, but I don’t know that it brings any real advantages that I need or that make me safer. Seahawks or the Patriots to win the Super Bowl? K: I really don’t care. Seattle, I guess, since I live in the northwest. Not a fan of either team, so hopefully it’s at least a good game or something. Apologies if I sound bored by the notion of this year’s Super Bowl, but the NFL and their paid media faux-journos that are spread about publications have ruined any excitement with this Deflate-gate bulls*t.
R: I honestly don’t even know when the Super Bowl is. I know the Seahawks are from Seattle and the Patriots… nope. Don’t know. Sorry. If you had to pick 5 of your favorite music albums of any genre, which would they be? K: Ooh, good question! In no particular order: Wu-Tang’s Wu-Tang Forever double album, Ryan Adams’ Cold Roses, The Weeknd’s Trilogy, Gangstarr’s Full Clip greatest hits double album, R. Kelly’s “R” double album, and Jeff Buckley’s So Real. That’s 6, I know. T: In no real order – Gojira’s From Mars to Sirius, Killswitch Engage’s Alive or Just Breathing, Dr Dre’s 2001, Winds of Plague’s A Cold Day in Hell, and probably Deftone’s entire discography. R: Not in any particular order – Borderland by John Mark McMillan, Everything in Transit by Jack’s Mannequin, EP by Childish Gambino, Where the Light Is by John Mayer, and Dog Problems by The Format. K: Million Dollar Listing NYC! Love that damn show for some awful reason I can’t figure out. Also, Game of Thrones, Knife Fight, Bar Rescue, and Anthony Bourdain: Parts Unknown. T: My all time favorite would be Family Guy. Then in no particular order, I would go The Simpsons, Metalocalypse, Jeopardy, Shark Tank, and Game of Thrones. Although, at the same time, I hate Game of Thrones. R: I do not have cable so I don’t watch a lot of TV, but these are my top 5 shows ever (again, no particular order) – House, Sherlock (BBC), Scrubs, Friends, and Wonderfalls. F**k, marry, kill – OEMs. Then, the same for carriers. Go. HTC has the looks, but Moto treats me good. Samsung because their phones do look good, just not perfect. Motorola because I like them for the long haul. LG because I just don’t like their hardware or software. T-Mobile because I love their plans, but I don’t think their coverage is good enough yet. Sprint because they needed to die a long time ago. Verizon because they do have really good coverage, even if it’s not a happy marriage. LG USA: G3 Lollipop Update "Coming Soon!"